I’m not in the habit of writing book reviews here, but I can’t not tell you about this book. 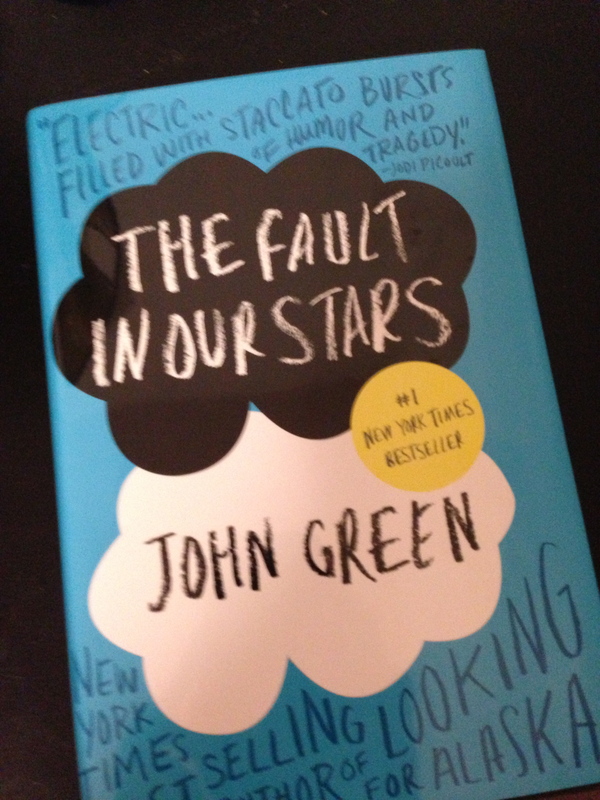 I had high hopes for The Fault In Our Stars by John Green and it easily exceeded them. I devoured this book. You may have heard about The Fault In Our Stars due to its huge popularity among young adult lit fans or via the hype that’s building about the upcoming film. But that’s not why I think you should read the book. This is an important read for anyone who cares for or about children and teens with chronic medical conditions. Not because all of them are a Hazel or an Augustus, but precisely because they are not. This book is an awesome reminder of the uniqueness of each person, including those who happen to have an illness. It made me reflect on the importance of considering this in the way that I, as a physician, talk with patients and their families. It reminded me once again of the importance of truly listening. The Fault In our Stars also gives voice to a group of teenagers not often heard- those with a chronic illness. They are believable and real. They’re a little quirky, a little brilliant, a little geeky, a little cool. They love to read, which instantly endeared them to me. They each have an illness, but they are not their illness. The Fault In Our Stars also has one of the best endings I’ve read in a while. I won’t give it away, except to say that the last lines have stayed with me long after finishing the book. So, read The Fault In Our Stars. It’ll make you think and may even challenge some assumptions, which in my mind is pretty much always a good thing. Have you read the book? Plan to? Would love to hear (spoiler-free) thoughts below. This entry was posted in Book Review and tagged John Green, listening, The Fault In Our Stars by My Two Hats. Bookmark the permalink. Reading this book has been on my to do list since last May when it came highly recommended by a number of my students. Some of my students even chose to quote lines from the book for their yearbook/graduation festivities. Well said Heidi! I read the book this summer and loved it but I couldn’t really express why. When I tried to tell people to read it, I couldn’t really tell them why a book about two teenagers with cancer was more inspiring than depressing. Anyhow, great review. I hope you and your beautiful family are doing well! I am a Pediatrician also and really loved this book for so many reasons. While they may not all be fighting cancer, I find that daily I talk to teens who are battling something in their lives that feels equally as monumental. John Green has an exquisite talent for portraying these young adults as they make the natural transition of looking at their world through an adult lens and catching their first glimpses of the beauty of the human spirit both in themselves and others.